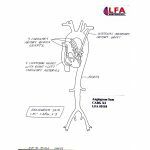 Professional Plastic Training Model is the realistic upper or extended carotid structure located above the heart/aortic arch. Accurately represents the anatomy of a 5 ft 8 in adult male of 180 lb. 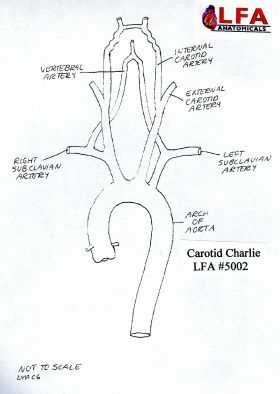 The dimensions were computed after cadaver studies of over 100 specimens and angiographic data of over 1,000 patients. 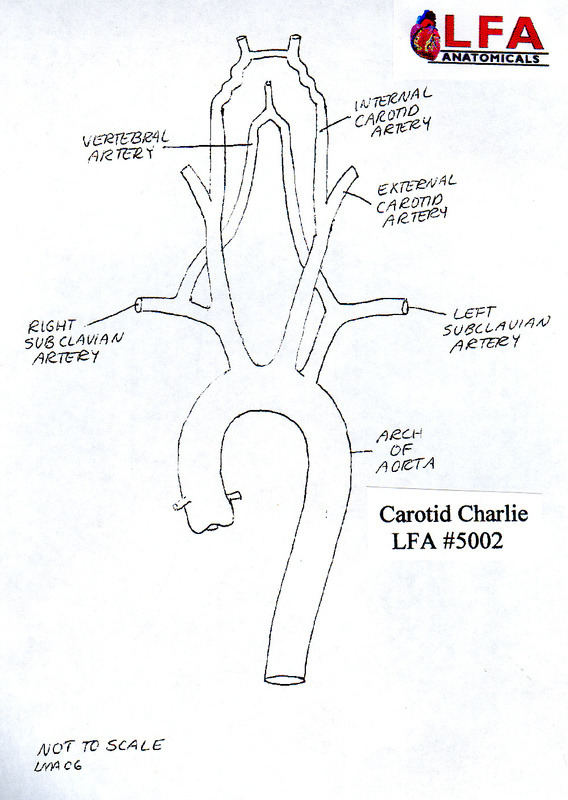 The INTERNAL DIAMETERS of the upper venous and coronary sinus represent healthy intima. 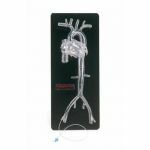 Normal and Intended Use: All Angiogram Sam models are designed to provide a level of frustration and challenges similar to those encountered in the cardiac catheterization laboratory, such as difficulty in turning the catheter, or maintaining position. Our unique in-stock Catheterization and Laboratory Models available in clear Plastic include the famous "Angiogram Sam Family" including "Angiogram Sam", LFA #5000P, "Angiogram Sam Plus", LFA #5001P, "Carotid Charlie", LFA #5002P", Pacemaker Pete", LFA #5005P, "Venous Sam", LFA #5010P, Femoral Fred", LFA #5015P and the unique bilateral Venous-Arterial "Super Sam", LFA #5020 as currently listed on E-bay.